Nanomaterials have gained importance in various fields of science, technology, medicine, colloid technologies, diagnostics, drug delivery, personal care applications and others due to their small size and unique physico-chemical characteristic. Apart from above mentioned area, it is also extensively being used in food sector specifically in preservation and packaging. The future applications in food can also be extended to improve the shelf life, food quality, safety, fortification and biosensors for contaminated or spoiled food or food packaging. Different types and shapes of nanomaterials are being employed depending upon the need and nature of the food. Characterisation of these nanomaterials is essential to understand the interaction with the food matrix and also with biological compartment. 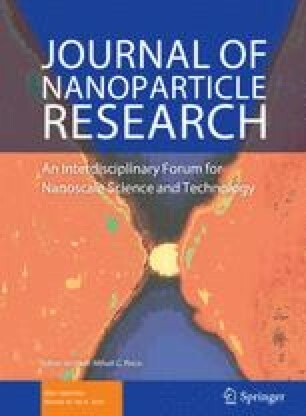 This review is focused on application of nanotechnology in food industries. It also gives insight on commercial products in market with usage of nanomaterials, current research and future aspects in these areas. Currently, they are being incorporated into commercial products at a faster rate than the development of knowledge and regulations to mitigate potential health and environmental impacts associated with their manufacturing, application and disposal. As nanomaterials are finding new application every day, care should be taken about their potential toxic effects. Shivendu Ranjan and Nandita Dasgupta have contributed equally. Chancellor and Vice Chancellor, VIT University, Vellore, TN, India is acknowledged for providing financial help for the project under the category of RGEMS-VC Fund, VIT.